An abundance of space is a rare luxury to have when contemplating any kind of project. 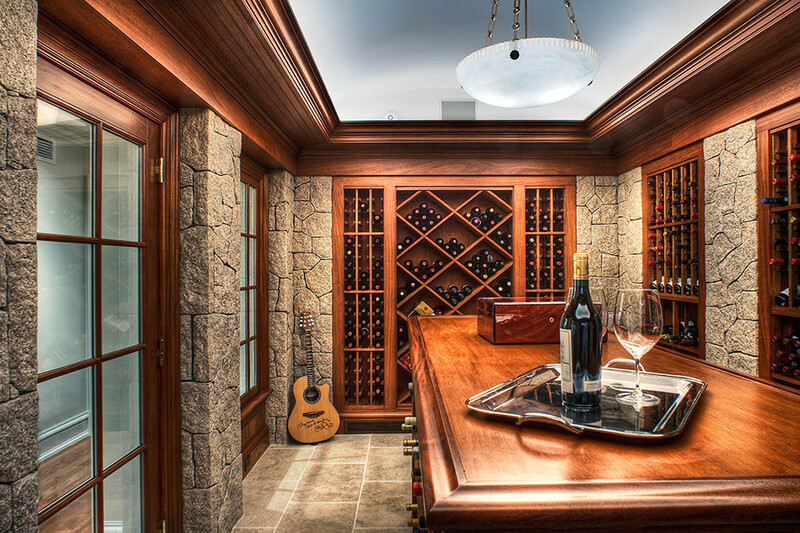 A noted surgeon and his wife had just such good luck while contemplating 2,000 square feet of unfinished basement in their Greenwich, Connecticut home. 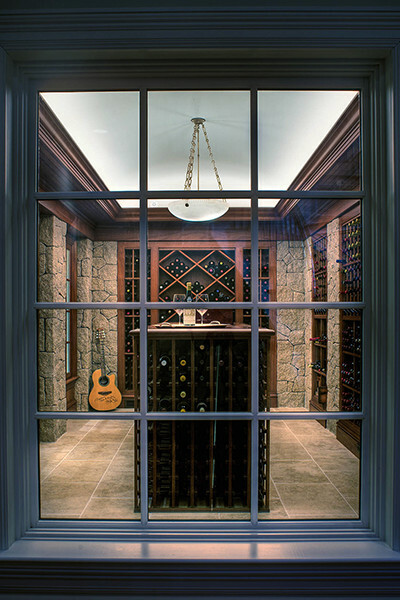 The ensuing brief of requirements they prepared included a wine cellar, exercise room, billiards room, and media entertainment space. 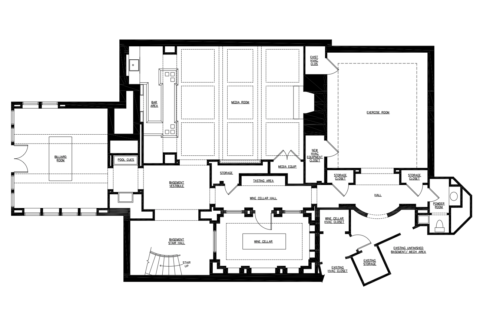 Soper Babcock Associates developed a well-organized plan, providing a clear path of circulation from the newly formed basement stair hall to the four new principal spaces. 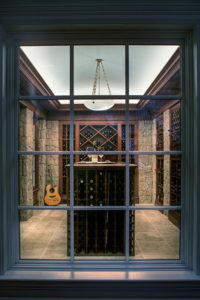 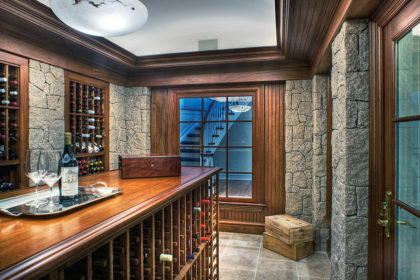 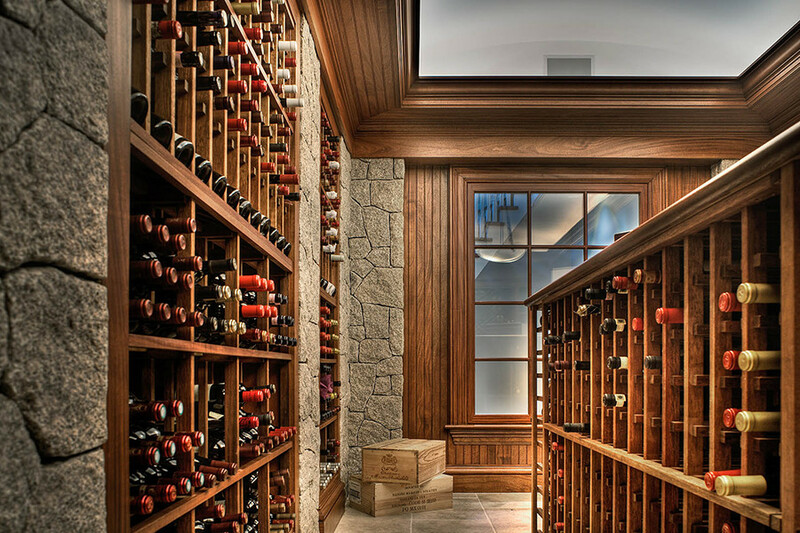 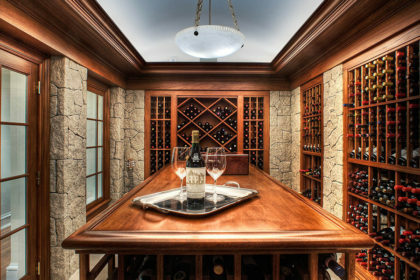 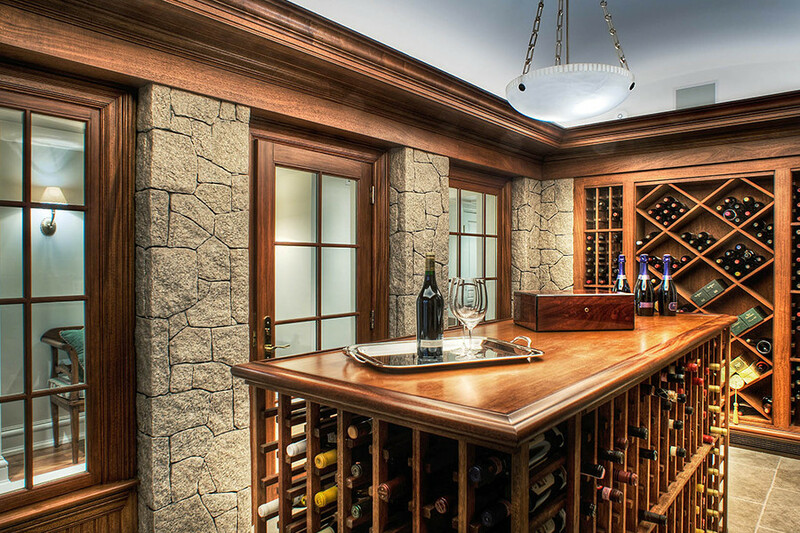 A new 1,200 bottle wine cellar occupies a prominent location adjacent to the natural light filled basement stair hall. 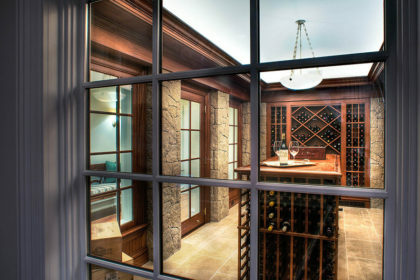 Contrary to the enclosed fortress-like wine cellars which are very common today, Soper Babcock Associates’ design included a large picture window at the stair hall end of the cellar and a pair of picture windows flanking the French glass cellar entrance door. 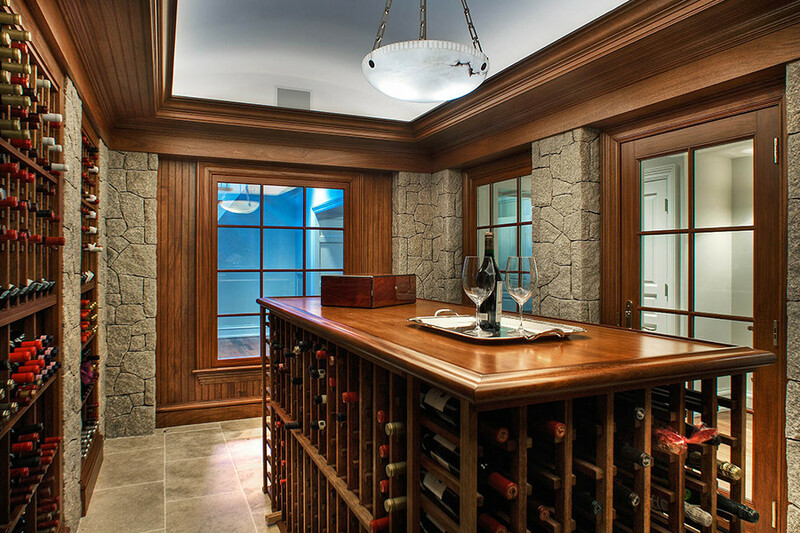 Those traversing the basement stair hall will be greeted by the beautiful mahogany woodwork and stone veneer of the wine cellar. Conversely, while in the cellar, any notion of being subterranean is mitigated by the natural light emitted from the end wall picture window. 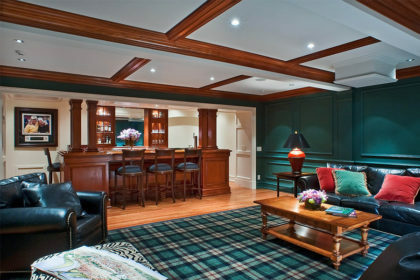 The double door entrance to the media entertainment room lies opposite the basement stair hall. 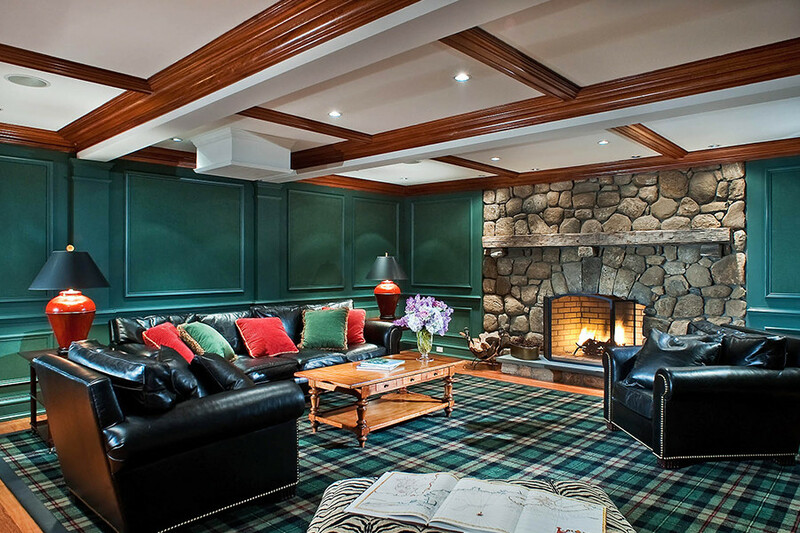 This space consists of a media area with casual seating centered around a 90” wide by 48” tall projection screen and, at its cross axis, an expansive fieldstone fireplace with mahogany bar and seating for four opposite. 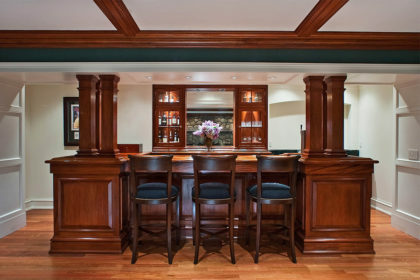 Fabric wrapped acoustic wall panels with detailed surround moldings, chair rails, and baseboards define the perimeter of the media area. 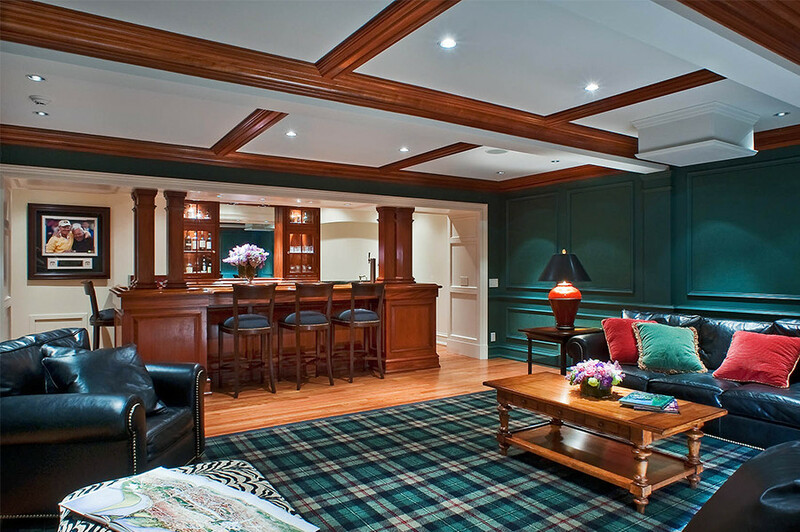 A nine bay mahogany coffered ceiling above reinforces the cross-axial layout of the overall space.